Part of the funding clubs have agreed to provide will be used for the redevelopment of MacCumhaill. 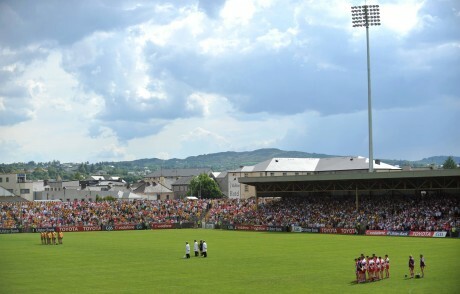 DONEGAL’S forty GAA clubs have commited to contributing €81,000 to the county’s coffers by August 1st to assist in a number of projects, not least the ongoing development work at Sean MacCumhaill Park in Ballybofey. While Club Tir Chonaill has been set a target of €180,000, this money is solely for the continued development of the Centre of Excellence in Convoy, but there is an additional €131,000 to be found. With the newly-formed Supporters Club, chaired by Fr Brian Quinn, has been charged with funding €50,000 of this, the clubs have now commited to finding the remaining €81,000. Agreement did not come before some debate on the matter at Monday night’s meeting of the county committee in Ballybofey’s Villa Rose Hotel – at which it was also agreed that clubs will face the stern sanction of having tickets for the Donegal-Tyrone Ulster Championship clash and subsequently their allocation for the All-Ireland final, whether there is Donegal involvement or not slashed by 50 per cent. The total to be paid by each club is in addition to the current levies they pay and it is based on their adult membership, with €10 for each adult member to be given to the Co Board. 50 per cent of this figure is to be paid by May 3rd with the outstanding amount to be contributed no later than August 1st. The controversial €5 surcharge that was placed on the tickets for the All-Ireland final in September is also to be credited to clubs, although one delegate, Gerry Rushe, said that his club, Robert Emmets, would not be seeking a refund. The effective refund will be credited to clubs against their levies and the €55,000 sum has been factored into the 2013 budget from the Co Board. As a pre-curser to this section of the monthly meeting, a special finance meeting had convened the previous Monday evening, February 25th, at which only 29 clubs were present, something that the Co Chairman, Sean Dunnion, mentioned as being ‘unfortunate’ at this week’s meeting. Moville delegate Sean McBride, the District Court Judge in the Cavan-Monaghan district, urged clubs to support the proposals which came out of the previous week’s meeting. “I would appeal to the delegates for unity,” he said. “We want to be united coming out of this meeting. We are on the threshold of great progress in Donegal and of getting MacCumhaill Park up to a level that we want. McBride ended his plea: “Ní neart go cur le chéile” (‘There is no strength without unity’). Some clubs had reservations about making the commitment. 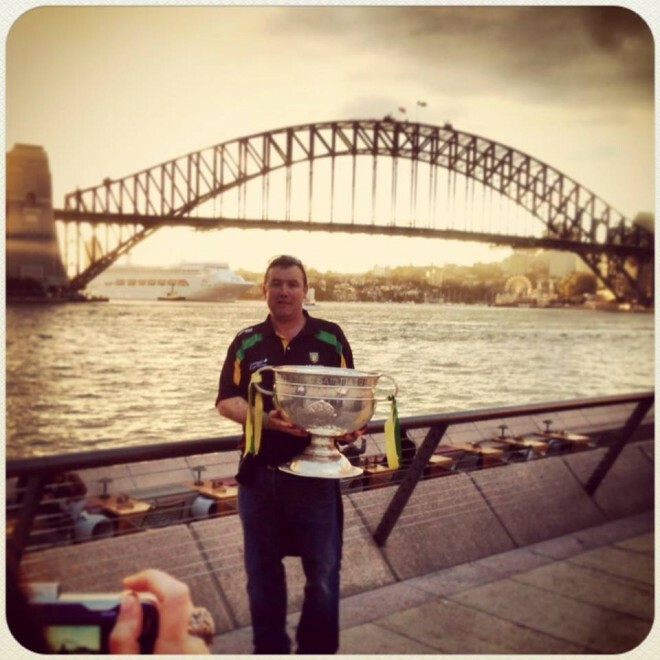 Former Donegal star Matt Gallagher attended the meeting on behalf of his Naomh Brid club and was critical of clubs being asked to make the contribution. “Clubs are just levied out at this stage,” said Gallagher. Bernie McGlynn proposed the scrapping of the jackets for Club Donegal members (a cost of €36,000 to the Board), which was backed by Fanad Gaels’ Fiona Shields, but which was beaten following something of a confusing vote. 39 voted for the Glenfin delegate’s call and 39 voted against it. 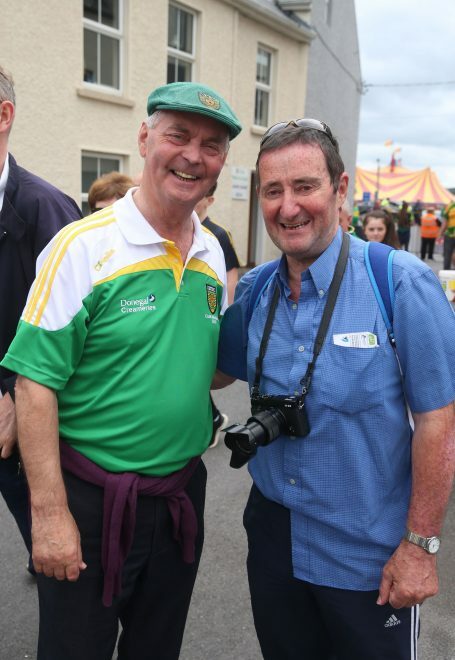 Confusion reigned, with the Chairman calling for a second show of hands and, when the abacus was totted for a second time, the vote was 36-34 in favour of retaining the Club Donegal gear. 51 delegates were in favour of the proposal that will see clubs contribute €10 per adult member; a sufficient number to carry the , which was put to the floor by Elizabeth Doherty (Carndonagh) and seconded by Gerry Rushe (Robert Emmets). Sean McBride proposed that 50 per cent of clubs’ contributions be paid before May 3rd. “Unless everyone has paid some share, the horse has already bolted,” he told the meeting. His call was backed by Cieran Kelly (St Naul’s) and their proposal defeated one from Ed Byrne, Killybegs, for the sum of €1,000 to be paid by May 3rd ‘to give us time to fundraise’. The margin was 40-16. 46 delegates against 15 supported a penalty of a 50 per cent cut in the allocation of Donegal-Tyrone tickets for those clubs who don’t meet the target, while 49 delegates against 11 supported a similar sized cut in All-Ireland final tickets for clubs who do not meet the August 1 deadline for paying in full.